Olympic National Park features various unique ecosystems, including mossy rain-forests, sandy beaches, and sub-alpine meadows. Backcountry hiking and camping is a fantastic way for visitors to experience the undisturbed beauty of Olympic National Park. What are the best backpacking trails in Olympic National Park? Oil City Trail: Oil City Trail begins at the mouth of the Hoh River, 25 miles south of Forks, Washington. Oil City Trail is rated as “Easy” on the scale of difficulty for its flat terrain and maintained trail. On the Oil City Trail, hikers will view stunning sea-stacks, ocean views, and wildlife including bald eagles and seals. Ericson's Bay Primitive Trail: Ericson’s Bay Primitive Trail is a two mile long trail located in Ozette Lake on the west side of the Olympic Peninsula. Labeled as moderate on the scale of difficulty, Ericson’s Bay Primitive Trail ventures through a coastal forest of ancient trees; the trail is not maintained and the boardwalk can be slippery. North Coast Route: Shi Shi Beach Trailhead to Ozette Trailhead is an easy to strenuous hike along the west side of the Olympic Peninsula. Most of the trail is flat, but there are some steep overland sections. Featuring forest cliffs and coastal beaches, hikers should allow for 2 days to complete this 15 mile hike. Do I need to obtain a backcountry camping permit? If you are planning to camp in a non-designated campground, you will need a backcountry permit. Staircase Ranger Station near Hoodsport. Phone: (360) 877-5569. What sort of rules and regulations apply to me in the backcountry? 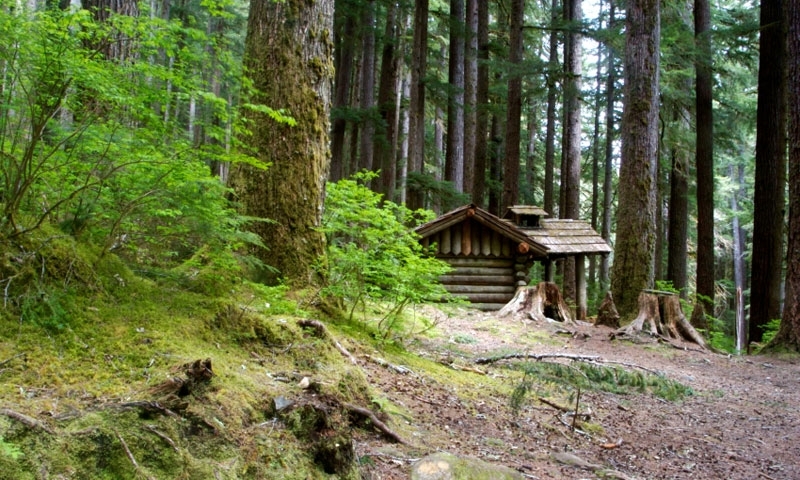 The Leave No Trace principals apply for all hiker backcountry camping Olympic National Park. These rules include hiking out everything hikers bring into the park (including toilet paper), burying human waste, observing wildlife from a distance, and not traveling “off trail.” Fires are banned in forested regions and some sections of beach.